Gin Tasting and Meeting Us! 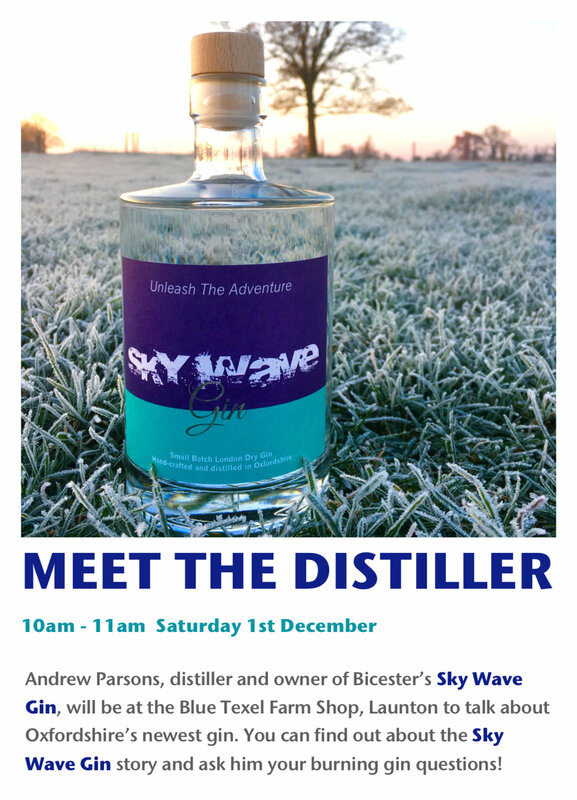 Andy Parsons, Partner and Distiller of Sky Wave Gin, Bicester’s own gin, will be at the Blue Texel Farm shop in Launton this Saturday 1st December between 10am - 11am There will be the chance to try a nip of Sky Wave Gin and hear all about the story behind Oxfordshire’s newest gin. Andy will be on hand to answer your questions and will also be talking about our brand new addition to the Sky Wave Family, our limited edition Spiced Apple Gin Liqueur.